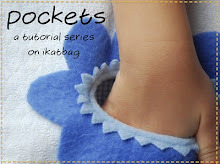 ikat bag: All About Cardboard! Was going to share a gazillion photos of my shopping exploits in Singapore today but this came in my mailbox. I've been waiting for months to see this in print. 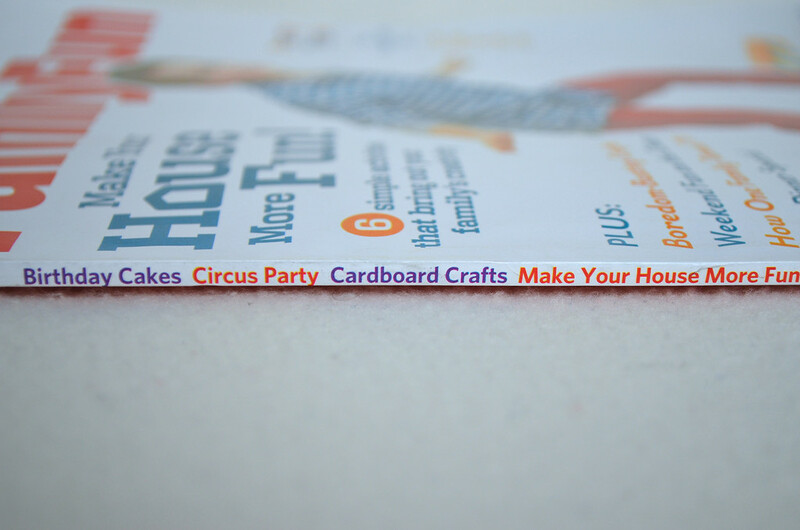 The team at Family Fun wrote to me about adapting that old blog post about working with cardboard - the one that's in my sidebar -, and it was a dream assignment, not to mention an incredible honor. I get to spread cardboard love nationally! I hope it's contagious! Cardboard gone viral would be uber coooool. Wow! Congratulations!! I don't usually buy magazines, but I will keep an eye out for this one and add it to my sparse collection. You are an inspiration to your blog readers, and now you can be an inspiration to millions of people nationwide! Yippee! Whenever I read about your adventures with cardboard, I wish I had little kids around. Congrats on the article! Oh, Lier! We got our issue yesterday. I am thrilled for you, very exciting. Wow how amazing is that! Congrats! Great stuff! Congratulations!! We get Family Fun, and can't wait to see your article! Kinda your version of appearing on Vogue/Elle/some fashion magazine! Congrats!! I think you are awesome. Can I just mention that your cardboard love is not going national but international. I live in Australia and I buy my copy from my local newsagent. It may take a while for this one to hit the shelves but I will let you know when I get it. Hi Lier... I have started adapting so many things in your blog for my 2 years old daughter, esp on the cardboard games etc2. I'm sooo addicted. Thanks for introducing such creative-fun-cheap choices for kids games. Btw, I live in Malaysia! 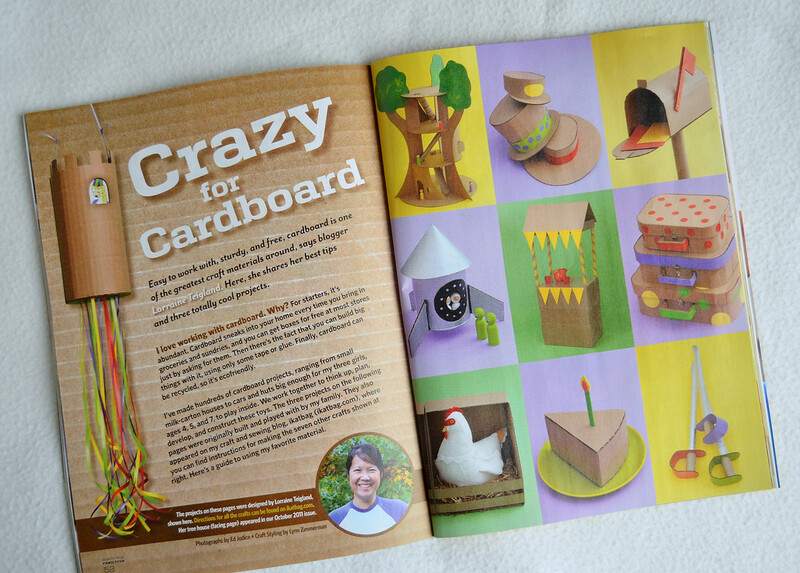 I was so excited to see the article about you and cardboard in Family Fun.I am a big fan of your cardboard creations.Wish they had you do a cardboard project for every issue.Thanks for sharing your wonderful ideas. I am so happy for you! Family Fun is a great magazine, what an honour. Opened up my mag today and I'm so thrilled to have discovered you!! Yay you!!! That's so exciting LiEr!! Congrats! I saw it in my issue yesterday and dinner and waved it around at my family and told them I follow your blog. My girls want to make some things they saw. I am hoping maybe we can plan some cardboard adventures during holidays from school since I am so bad at managing my time during the school year, between teaching preschool and raising a family. I just got this in the mail yesterday!! Cool! Congrats! I haven't opened it but now I can't wait to see it! I can't wait to see the issue! I got my copy the other day, opened it and saw the cardboard. I KNEW your name HAD to be in there! yeahhh! Congrats! Deja Vu! I was just perusing an issue (October 2011) I picked up at the library and saw the tree house (page 22). It took me a minute to figure out that it is also going to appear in the March issue - along with a bunch of other cool stuff - YAY! Oh, and by the way, I am now eyeballing every. cardboard. box. that passes my doorstep. I work at a preschool and I would really love to make something like the Green Grocer's. I know the kids would love it. Thanks for the great inspiring blog! Congratulations!!!! I'm so thrilled for you. Thank you for this! 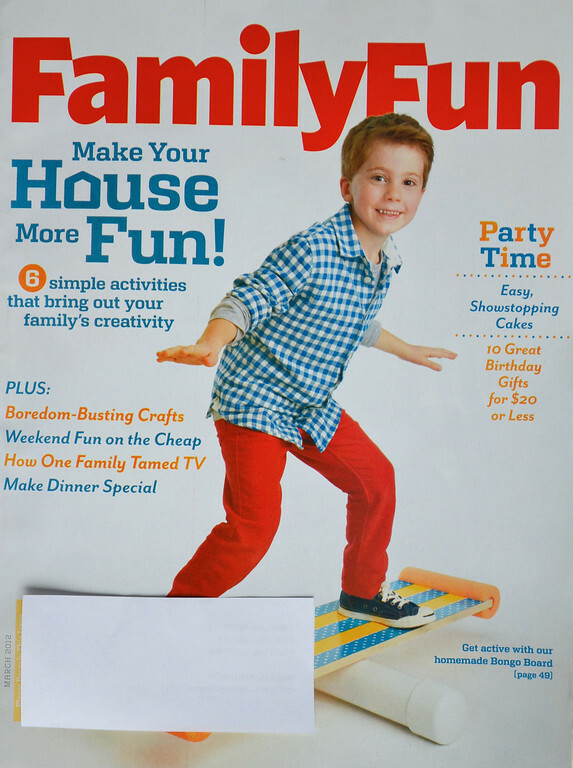 When this month's Family Fun arrived, I *knew* I had seen that treehouse somewhere in blogland. I'm glad I found you and I'm glad you did this for FF. This afternoon, we're tackling the FF version (as we need a template to follow!) I'm also excited about finding another book series for my voracious reader. Thanks! Congratulations! So happy for you, I love reading your blog! What a happy place the world would be with your cardboard love gone viral!!!! I'll run to the post office this morning to pick up our copy--what a great way to spend the day with my kids! I can't wait to get my issue so I can see it. Congrats! That is so amazing -- congratulations! 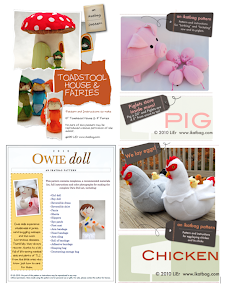 Am a mom of 2 who's trying to get more crafty--will be visiting often! 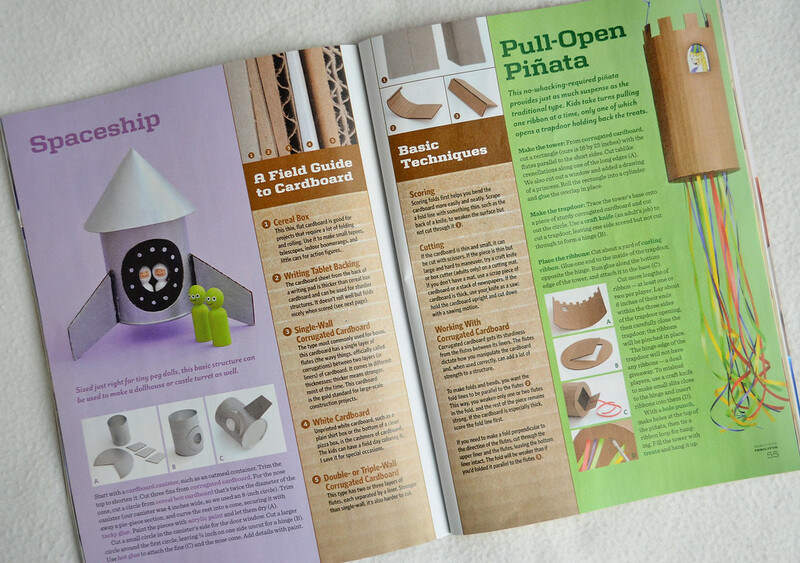 I was looking through my online copy and spotted your name and cardboard creations! They are AWESOME! Congrats on being in Family Fun!! congrats ! you must be thrilled !!! Congratulations! 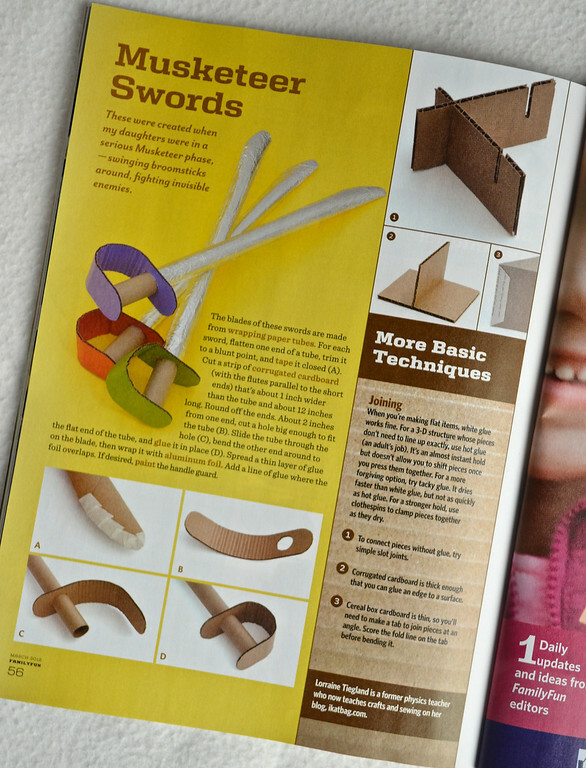 Have you had to buy (or construct from cardboard) a bookshelf to store your published items? I was paging through this copy of Family Fun during my daughter's dance class and I saw this piece. I knew without reading a word that it was you! I've been offline until this last month and having fun catching up on your posts. Congrats on the article! Incredible! I got that family fun and it was one of our favs! I didnt realize that was "you" until now. I have been going thru your site and getting more and more inspired. I am on a cardboard craze and new to blogging and feeling inspired! Thanks for showing and sharing and inspiring...but most of all for recycling!